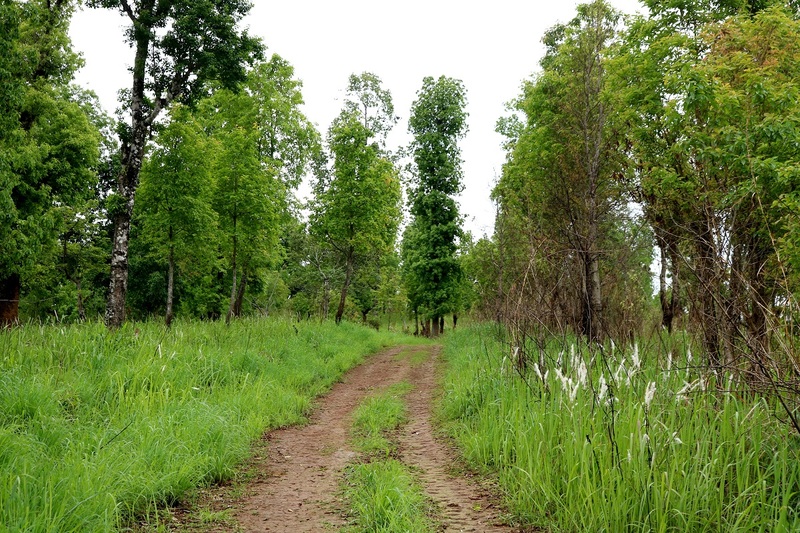 A trail to the raw nature, passing through never dying attitude of West Karbi Anglong hills, will lead to quenching your thirst to travel in Umswai, the Karbi – Meghalaya plateau. I’ve never felt that I was far away from my home in those three days. Their transcendent hospitality got my heart some in-between. I was literally driven away by their love, care, and affection. It is just impossible to think about the presence of such honest, warm-hearted souls in this world. 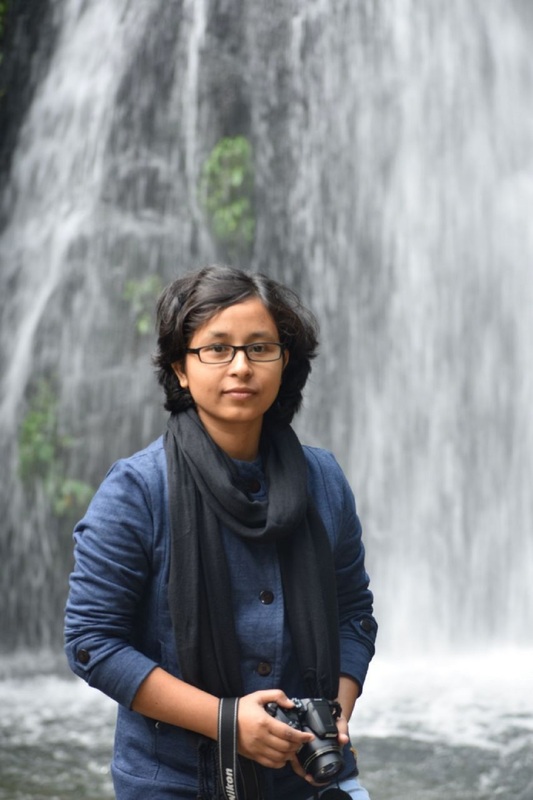 It was in May early morning , I started off my journey to this mystic valley with my other four partners from Tezpur University. Umswai valley is about 35 kilometers away from the National Highway 27 connecting from Nellie tiniali. But, if you are coming from Guwahati then, it would take another 73 kilometers to reach the connected port to Umswai; Nellie. So much to see, so much to experience: there were some never-ending sparks! Possibly, we had reached Nellie at about 10:30 am where the time duration also included our “breakfast halt”. Again from Nellie, we started at 11 am and after 2 hours of a journey through uphill routes, we entered the valley of perfection: Umswai. The weather there is much better than the plains. Well, though the clouds were not treating us in a good way that day, once we had been there, our health and our soul were perfectly placed from the next day onwards. The condition of road connectivity from Nellie to Umswai is not up to the mark. At some parts, roads are much bumpier, so it is not advisable for you to take Hyundai i20 (like us! ); instead, you can take up a Bolero and take your joy on driving beating the bumps. Encircled routes, uphill thrill, the lush green range of vision, closest contact with the hill – the journey was much into nature. The droplets of rain pouring through the windowpane, the vague sight of villages in a distant ray, the smoky smell of “Jhum”, determined eyes of the construction workers are so much to the realm of life. Once we were driving uphill, the collision of Karbi hill and the river somewhere pointed out the skilled creation of Mother Nature. Playing through the playlist of one of our partner, “Paharan ki Galiyan” and the drive into the paradise will be one of my memorable trips so far. The three days we have stayed there, were the beautiful days of our lives. The stay at Chikdamakha, trekking through and to Bormarjong, Amsai Pinung, Langorkhon and the life between the Karbis and Tiwas, we literally lived up our every minute away from urban chaos, away from Whatsapp, Facebook lags. 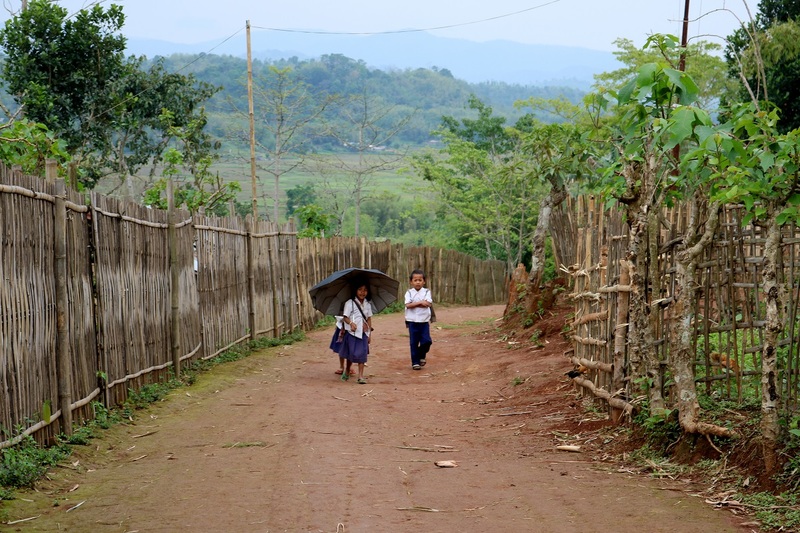 We, the girls were accommodated in a newly constructed homestay, whose owner is Preshila. I still recall the evening hour that I had passed with their family; Joshila (daughter of Preshila) and her sisters, friends. The fire-beam in their kitchen, the local tune of flute the evening was as magical as the star-rains. Well, I too accompanied them with the Lata Mangeshkar hit “Tujhse Naraz Nahin”. Stenli, the boy behind the magical tunes was talented enough to catch the tune immediately and started playing with me (Gosh! I terribly miss that evening). While talking about the touristy stuff, we’ve come across trekking options that are prevailing throughout the region. Treks that are prevailing in Langorkhon, Bormarjong, Amsai Pinung are ones in which every visited group/individual should take part. The trek to Balakhongor, the second highest peak of Karbi Anglong is really tiresome but after climbing up the top, witnessing the entire Umswai in lush green artistry just beneath the sky there only you’ll find your inner peace. Mr. Newton, a guide told us about catching the sight of Himalayan range if the sky is clear is for the day. 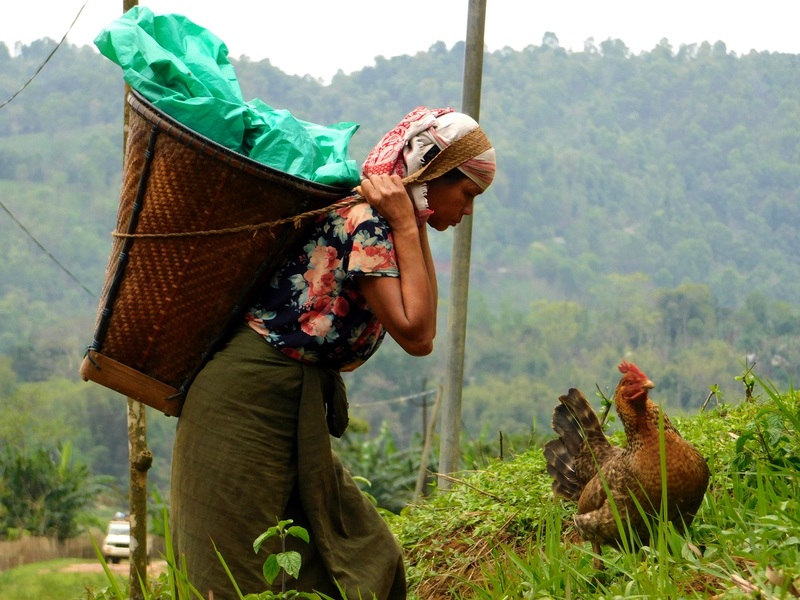 On the other, the village of Amsai Pinung and Bormarjong has their religious yet historical significances in and around the treks with distinct herbal treasuries. It was much adventurous to travel with the local people passing through by their unheard tales/stories related to each site. Jirlong Anglong, another attraction that costs the trekking is a beauty in a hundred years. Only from the other side of the valley, one can witness the 17 distinct parallel depressions prevailing there. The tragic story behind Jirlong Anglong would leave anyone in interest. The entire trek was shaped with wild berry trees, lush green grass, and traces of Jhum Cultivation. 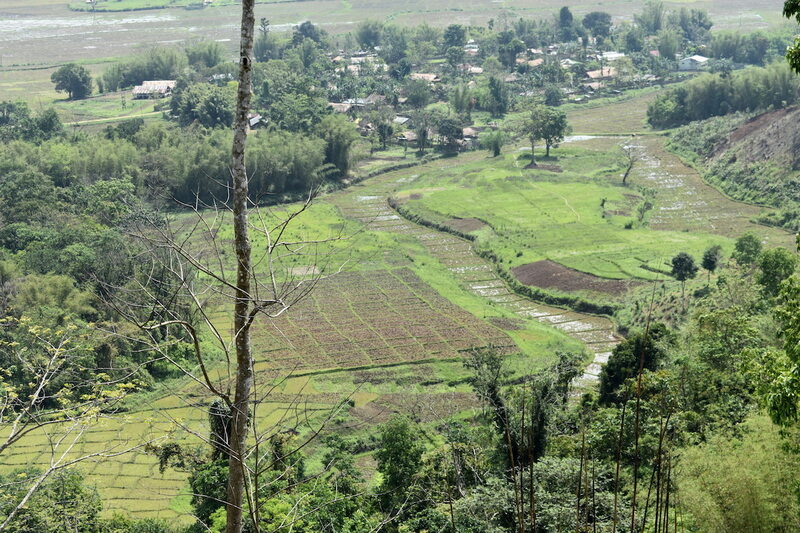 The region of Umswai is mainly populated by two communities of the state, Assam: Tiwa and Karbi. 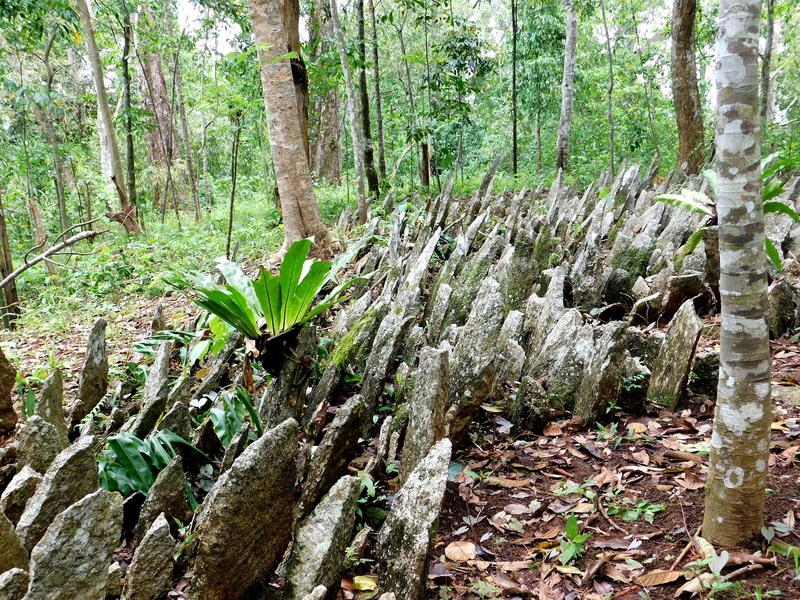 The region has only Christian village; Chikdamakha: who started their initiative for cleanliness even before Mawlynnong had got the recognition. It is a peculiar fact that the involvement of Tiwa community in the valley is much higher than the other. Both the tribes claim to be the guardians of their traditional cultural behaviors. In pursuit of time, they are not letting the changes to distort their unique sensations. Well, it is observable too. A large section of the valley, Tiwas, are also known as Hill Tiwas and it is said that original traces of Tiwa community are found in their veins only. Painted in Orange, Navy blue, Black, White etc. 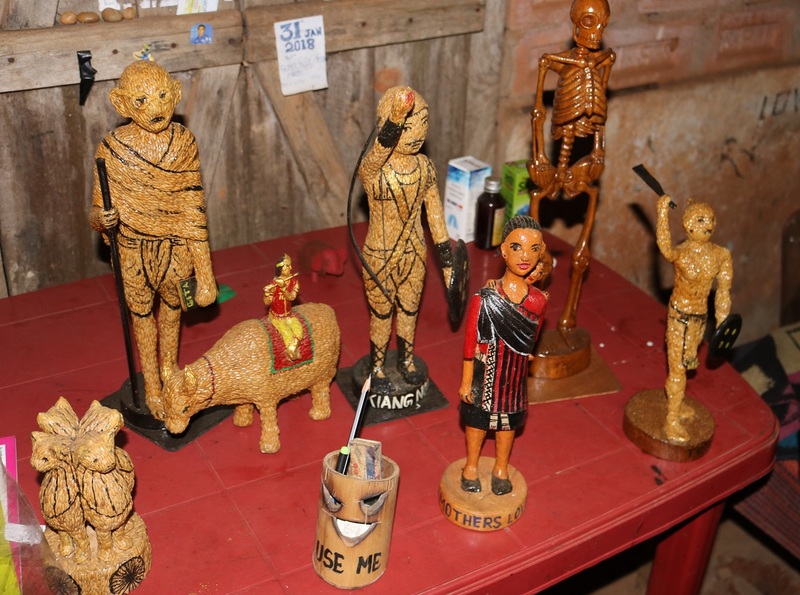 Tiwa and Karbi community exhibits their cultural paradox passionately. In their own notion, “We have thirteen festivals in twelve months”. This simply represents their abundance of festive occasions throughout a year. Being agricultural based, their festive seasons are also rely upon the wellbeing of the paddy field and their societal lives worshipping to concerned deities. These persons are truthful to the holy spirits, their positives are hidden in it. One of the best occasion to visit these places is during the festivals. The entire valley is then drowned in colors of music, love, and respect. Langkhon Phuja: It is celebrated during the month of October. Sogra: It is celebrated during the month of March. Lukhumi Yangli: It is celebrated every 3 years, during the month of April-May. Rongker: It is a spring festival which is performed at the beginning of the New Year. Sengkakimi: 1st of February is celebrated as to welcome the Karbi New Year. Music, Dances usually lifts the elegance and fragrance of festivals to a new level. During the festival of “Sogra”, Tiwa people used to wear kinds of stuff made from aquatic plants as “Khumkhadi”. 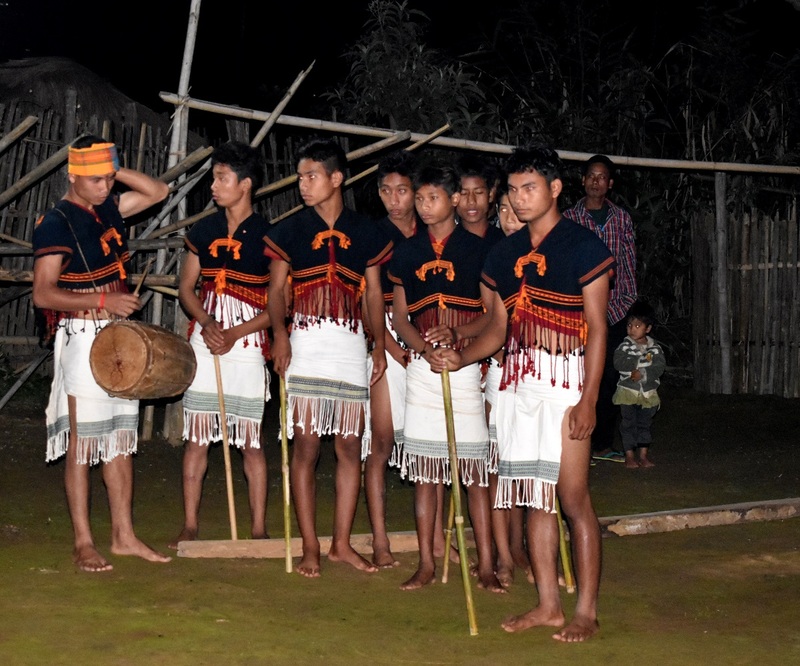 Again, in “Sengkakimi”, the Karbi youths with their scheduled traditional dances and music paint the evening in crayons. A large section of the women there weaves eye-catching attires and variances in craft works of bamboo, even a unique artistry made from “rice gains and paper” caught our eyes in wonder. The artistic talent that prevails there among the personals really admired us. Watching the weaving practices, it felt like, dreams are being painted flawlessly through their hands in handlooms. Though there are no restaurant things to serve you the western dishes; but once you’ve been here, stayed, laughed at their jokes you should and must take the taste of their ethnic kitchen. The food items of Tiwa community are prepared with and without using turmeric. We felt really hilariously tempted when they served us with their local cuisine with dry fish. Apart from it, the overwhelming beverage that the Tiwas have is “The Chu” which contains certain medicinal values. Besides, Karbis are fond of cooking meats in bamboo strikes that attracts attention to a great extent. If you are a traveler who seeks love, care, and experience of living amongst the tribal culture, you will feel their warmness here. The region doesn’t have any mobile networks but when you are with such untouched nature, you’ll feel like never going to the world of concretes and chaos. Peace is here, pal! Pack your bags and let your soul drive straight towards Umswai. The carving of golden-green paddy field with sacred water bodies flaunts their hilly perfection. We just felt the embrace of Mother Earth close-at-hand in Umswai. We just sat down for a while and enjoyed the ray of sundown in Chikdamakha. Honestly, the entire valley projects a passage to calmness and freshness. We promised them to come back and relive the days with them again in coming years, and yes, we are going back: Promises are meant to be kept, ain’t it?